In late September 1919, black sharecroppers met to protest unfair settlements for their cotton crops from white plantation owners. 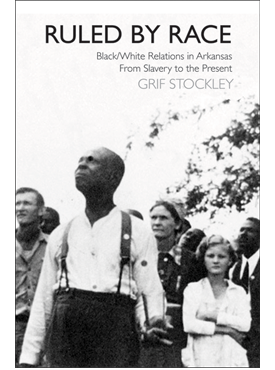 Local law enforcement broke up the union’s meeting, and the next day a thousand white men from the Delta—and troops of the U.S. Army itself—converged on Phillips County, Arkansas, to “put down” the black sharecroppers’ “insurrection.” In riveting, novelistic prose, writer and Delta native Grif Stockley considers the evidence and tells the full story of this incident for the first time, concluding that black people were murdered in Elaine by white mobs and federal soldiers. 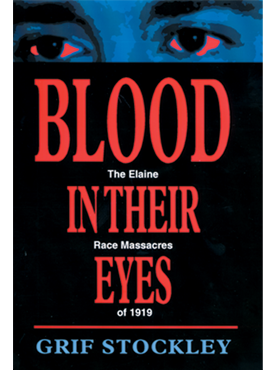 Five white men died as a result of the conflict; contemporary estimates of African American deaths ranged from 20 to an even more horrifying 856. White officials jailed hundreds of black workers, torturing some of them. Twelve black men were charged with first-degree murder. Their legal battles lasted six years, but national and local silence has persisted much longer. Stockley takes on this silence and shows that it resulted from sustained official efforts to convince the public that only blacks who had resisted lawful authority were killed. He shows too that it is part of a larger silence in which the fear and terror that were the daily staples of the African American experience have been summed up all too easily in the term “Jim Crow” in a failure to fully confront the anguish of the period. 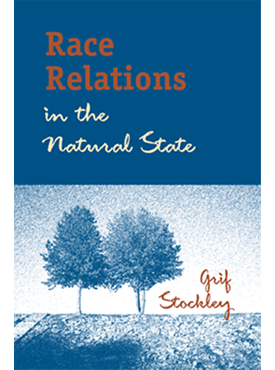 Grif Stockley is a lawyer, the author of five murder mysteries (Expert Testimony, Probable Cause, Religious Conviction, Illegal Motion, and Blind Judgment, all from Simon & Schuster), and a longtime scholar of the Elaine race riots.